The BMW i8 sport hybrid coupe is equipped with a 1.5-liter turbocharged 3-cylinder gasoline engine and an electric motor that produce a combined 357 hp and 420 lb-ft of torque. Rear-wheel drive and an 8-speed automatic transmission are standard and the performance/economy mix is one of the best for this class. The 17-mile all-electric range is not particularly impressive but the i8 is an advanced machine with a complex carbon fiber chassis and comes packed with equipment like navigation, heated leather seats and numerous safety systems as standard. A high base price does put it up against some very talented gasoline powered offerings though. Though not perfect, the BMW i8 is a technologically advanced and overall ace sports car. Considering it has a marketing strapline of “The Ultimate Driving Machine”, BMW hasn’t really ventured into the high-end sports car route that often. Technically speaking, it’s only ever built one vehicle that you could consider to be a high-performance sports car: the BMW M1 that went out of production in the early 1980s. That little fact on its own would make the BMW i8 a rather important vehicle for BMW, considering the BMW M1 is its spiritual predecessor. However, that’s not all the BMW i8 has going for it. On top of being a rather lovely vehicle to drive, the BMW i8 is also a sveltely-styled showcase of all the advanced technologies we’ll see in mainstream BMWs over the next few years. Objectively, the BMW i8 isn’t quite as impressive overall as other sports cars you can get at this price point. However, we do still feel the BMW i8 is worthy of consideration, and especially if you’re the sort of buyer who loves gear at the forefront of the cutting edge. The BMW i8 has a very nicely crafted interior. As expected from a high-end sports car, the BMW i8 has a very nicely crafted interior. Though it’s admittedly not without slight niggles here and there (some of the controls, such as the gear selector lever, are lifted from BMWs that are almost half the price of the i8), the overall fit-and-finish is exemplary in this car, and all the materials used are of an expected high standard. The controls are also intuitive to use too, which helps the BMW i8 in becoming a genuinely usable day-to-day car. For example, the digital dashboard display is of a good size and has a crisp resolution, so is very legible to read, and the infotainment system is rather easy to operate. All in all, BMW i8 owners shouldn’t find much to worry about when it comes to interface intuitiveness. BMW i8 buyers also won’t find much to fault about the front seats. As befitting of a performance car with day-to-day driving credentials, the seats offer lots of support and are padded enough to cosset their occupants on longer journeys, and drivers should be able to find their ideal driving position as a result of the adjustment available on the front seats and the steering wheel. Admittedly, getting in and out isn’t amazingly easy due to the lower-slung seating position, and it’s not always possible to open the dihedral ‘butterfly’ doors in tighter parking spots. If you will only be transporting one passenger with you, it is at least possible to use the rear seats as a makeshift storage shelf. Space behind the front seats is also particularly cramped – even by 2+2 sports car standards. Though there are a couple of seats in the back, we would only advise you allocate them to children, as the head and leg room on offer is quite diminutive by class standards. As a result, if you’ll be ferrying about more than one passenger on a frequent basis, we feel the more spacious Maserati GranTurismo will be more appropriate for your needs. Even if you’ll only be taking a -one with you on car journeys, though, you won’t necessarily be able to fit all of your respective paraphernalia into the car. At just 5.4 cubic feet in capacity, the BMW i8’s trunk is tiny even by higher-end sports car standards – a Chevrolet Corvette, for example, offers nearly double that at 10 cubic feet. Likewise, interior storage isn’t great: though we can understand why BMW didn’t put door bins on the dihedral doors, the same can’t be said for the solitary cup holder that’s available in the car. That said, if you will only be transporting one passenger with you, it is at least possible to use the rear seats as a makeshift storage shelf. The BMW i8 is quite a comfortable car. Though the BMW i8 is technically a sports car, it’s perhaps more appropriate to call it a grand tourer. Yes, it’s not one in the traditional sense, but the BMW i8 makes much more sense as an ownership prospect if you perceive it as a long-distance car rather than an out-and-out performance machine. For example, though the ride is admittedly a little bit bouncy over rougher surfaces, the BMW i8 is quite a comfortable car, to the point where you can genuinely consider using it as an exotic vehicle to commute in if you so desire. We’re also very impressed with the overall noise insulation, with wind noise being rather well suppressed at highway speeds. If we’re being picky, though, the tire roar is quite noticeable – especially when you’re driving in the pure electric mode. This comfort-oriented approach, however, hasn’t dulled the BMW i8’s more sporting characteristics. Whilst the outright responses aren’t quite up to the standards seen in cars like the Porsche 911 or Jaguar F-Type, the BMW i8 is still a vehicle that’s very entertaining to drive as a result of its light and direct steering, good grip levels and well-controlled body lean when cornering. The braking performance is also pretty good, and the regenerative braking system (on top of its primary use to recharge the batteries) can also be used to slow the car down more effectively with lighter loads on the brake pedal. It’s impossible to specify a blind spot monitoring system on the BMW i8. However, whilst we’re aware this is a very fussy complaint, we do feel the BMW i8 isn’t a car that driving purists will crave. The steering isn’t particularly feelsome, which may put off buyers who crave a more involving and interactive driving experience from their car, and the BMW i8 does understeer when you push it particularly hard. Of course, such aspects don’t have a huge impact when you’re driving at normal speeds, but are worth bearing in mind if you’re the sort of person who regularly takes a performance car on a track day. Arguably a more impactful element of the BMW i8 is the presence of substantial blind spots. Though the windshield is pleasingly wide, the front pillars that frame them are particularly thick, which does make pulling out of junctions potentially rather tricky. Rear visibility is also rather pitiful as a result of the even fatter rear pillars and the small rear window, and made even more awkward by the fact it’s impossible to specify a blind spot monitoring system on the BMW i8. Who buys a performance car for the fuel economy? 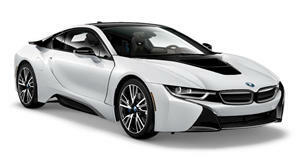 The BMW i8 is its gasoline-electric hybrid powertrain. Arguably the big selling point of the BMW i8 is its gasoline-electric hybrid powertrain. Though such a setup isn’t entirely unique in this segment anymore (the mildly pricier Acura NSX also comes with a similar in concept and execution system), this powerplant combo is still a novelty in this class. Despite the $140,700 sticker price, though, the BMW i8 isn’t particularly powerful. In a market where similarly-priced vehicles are producing at least 500-hp, the net horsepower figure of 357-hp isn’t as immediately impressive. For sure, the fact 228 of those horsepowers comes from a heavily modified version of the Mini hatchback’s 1.5-liter turbocharged three-cylinder engine is worthy of much applause, but the output isn’t jaw dropping by any means. It’s the torque, though, that goes some way to justifying the powertrain. With a combined output of 420 lb-ft (7 lb-ft more than the Lamborghini Huracan supercar, no less), there’s plenty of pulling power to tap into that ensures the BMW i8 is a thoroughly quick car on public roads. 0-60mph takes 4.5 seconds, and the only reason why the BMW i8 isn’t faster than comparable cars in a straight line is because BMW’s electronically limited the top speed to 155mph. The BMW i8 is also fairly efficient for a performance-oriented vehicle, with the economy figures of 28mpg in the city and 29mpg on the highway. The on-paper statistics, though, only tell half the story. Despite the abundance of torque across the rev range, the hybrid powertrain does respond well to harder inputs, with the gasoline part of the hybrid setup generating a sonorous bellow as you work your way up the rev range. The electric motors also help fill in the tiny engine’s torque void, which (on top of ensuring pulling away from a standstill shouldn’t be a problem) means the BMW i8 also has instantaneous throttle response. Of course, being a hybrid, the BMW i8 is also fairly efficient for a performance-oriented vehicle, with the economy figures of 28mpg in the city and 29mpg on the highway being on par with what mid-sized executive sedans can return. What’s perhaps a little less impressive is the BMW i8’s range on electric power alone, with BMW claiming a maximum of 17 miles from a single full charge (for comparison purposes, an Acura NSX can be driven for up to 30 miles on a single charge) – though you can fully recharge the battery packs from empty within 1.5 to 3.5 hours, depending on whether you use a 240V charging spot or the electricity from the garage recharging outlet. All BMW i8s come with an eight-speed automatic transmission as standard, and we feel it’s a very good companion to the hybrid powertrain. The upshifts in general are very smooth, the gear shifts are quick when you change gears using the paddles behind the steering wheel and the transmission does a good job at selecting the most appropriate gear in fully automatic mode. If there’s a complaint to be had, it’s that downshifts can at times be a bit lumpy and jerky – but such occasions are so few and far between that we don’t feel they’re too impactful on the driving experience. The carbon fiber chassis is unique to a performance car at this price point. When we say the BMW i8 is an advanced piece of kit, we genuinely mean it. The carbon fiber chassis is unique to a performance car at this price point, as is the hybrid powertrain. 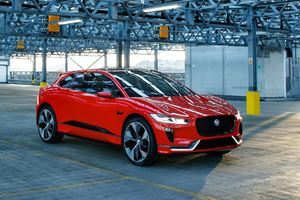 For technology-obsessed sports car buyers, the fact it’s right at the cutting edge of the latest car industry developments more than justifies the price. The BMW i8 is also equipped to a decent standard. In fact, the only noteworthy optional extra is the set of laser front headlights that’ll add a whopping $6,300 to the already pretty hefty $140,700 base price. Bar pearl metallic paint and extended aftersales care, though, everything else that’s available on the BMW i8 is standard – though, to be honest, features like all-round parking sensors, heated leather front seats, built-in navigation, dual-zone climate control and a power-adjustable steering wheel are expected from a car at this price! For the sort of performance car buyer who isn’t as instantly won over by the advanced technology, though, the BMW i8 may be a difficult car to win over. The performance this car offers is roughly on par with a Porsche 911 Carrera S ($103,400) and Jaguar F-Type R ($105,400), whereas equally enticing competitors like the Maserati GranTurismo Sport and Mercedes-Benz AMG GT S can be bought for just over $130,000. Perhaps the big hurdle the BMW i8 has to overcome is the Acura NSX. Whilst admittedly pricier at $156,000, the Acura is considerably faster than the BMW, has more range on an electric charge and is just as well suited to being used as a day-to-day car. For some, the extra performance offered by the Acura may just tip the scales away from the BMW’s favour. There are four-years/50,000-miles new car and eight-years/100,000-miles battery pack warranties to fall back on. The BMW i8 hasn’t been subjected to any official crash tests yet, and we can’t see the car ever being subjected to one due to the car’s high price and low sales volume. However, the BMW i8 should still be a safe car. The carbon chassis is extremely rigid, so should hold up well if the worst does happen, and there are also standard-fit features like low-speed emergency autonomous braking and front, side, curtain and knee airbags for the driver and front passenger. Reliability-wise, the BMW i8 should prove to be a fairly sturdy car, and there are four-years/50,000-miles new car and eight-years/100,000-miles battery pack warranties to fall back on if anything does go wrong. Residual values are also okay for the BMW i8, and it’s also possible that the car may become a desirable classic one day – though we do stress that, due to the difficulties that come with predicting which vehicles will become auction house darling in the future, we sincerely advise you to not base your decision to buy a BMW i8 purely on the possibility that it may rise in value one day. Despite what myriad comments sections on the internet may suggest, the BMW i8 isn’t a faultless user-friendly sports car. Though some may be more willing to overlook the performance deficit the BMW i8 has to similarly-priced cars, others may find it harder to accept the compromised practicality and the disappointing rear visibility as a trade-off for the advanced technology that’s under the skin. Those who do make the plunge, though, will be treated to a rather special sports car. For sure, the BMW i8 isn’t the quickest car you can buy for the money, but it’s nevertheless a rather brisk performance coupe that’s enjoyable and at time exciting to drive, and the hybrid powertrain provides a driving experience that’s unique in a $140,000 car. Some may even get a kick out of the claimed economy figures. Overall, we feel you’d be doing yourself a disservice if you didn’t at least consider the BMW i8 if you’re currently shopping around for a high-end sports car. For sure, it won’t be for everyone, but the BMW i8 is still a great performance vehicle that we imagine many owners will be immensely satisfied with. China is the world's largest auto market. Changes in the mainland mean changes for the rest of the world. Will The Next Electric BMW Be Called The i9? 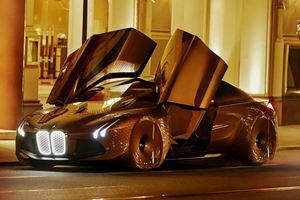 BMW has secured naming rights for the i1 and all the way up to the i9. But there's more. 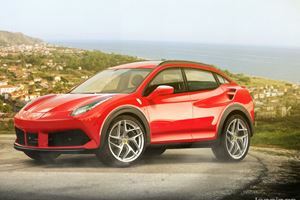 What Would Today's Sports Cars Look Like As SUVs? Judging by the industry today, this future is not far off.